The dramatic fall of the Russian ruble made headlines in December. The violent gyrations in the ruble are not a new phenomenon, but are quite characteristic of the country’s financial history. On December 15 and 16, the ruble took a 22 percent dive, which prompted a run on the Russian national currency. The ruble’s spectacular 22 percent plunge on December 15 and December 16 has prompted investors to liken the crisis to 1998, when the ruble lost 27 percent on August 17. 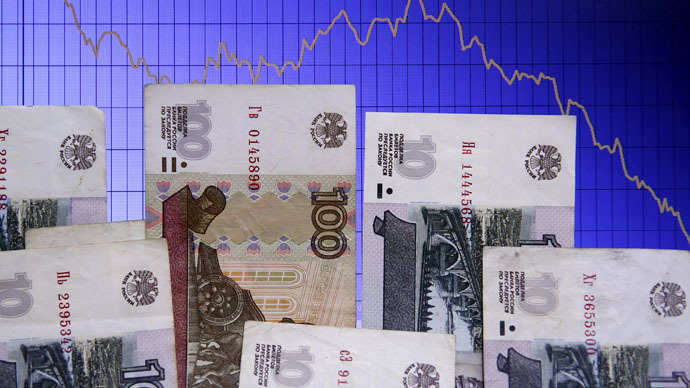 Reaching a 16-year low, the ruble fell to 80 against the USD. By the time of publication, it had recovered to 62.7, compared to 32.9 at the beginning of 2014. One of Europe’s oldest currencies, the ruble has been in use since the 13th century. First made of silver, the currency derives its namesake from the Russian word ‘rubit’ which means to chop or hack, and originally was made from fragmented pieces of the Ukrainian hryvnia. The ruble has been chopped, hacked, collapsed, and re-denominated several times throughout its nearly 800-year history. The most volatile years came along with regime change and revolution. After the 1917 Bolshevik revolution, the ruble lost one third of its value, and in the following years while the country was gripped by civil war, the ruble dropped from 31 against the dollar to nearly 1,400. The ruble hit its historic low of 2.4 million per USD after the civil war and the year the revolution’s leader Vladimir Lenin died. It was re-denominated to 2.22. Throughout the Soviet Union, the ruble was little used outside state borders, so the government kept the official rate close to the dollar, a massive overvaluation. In the last years of the Soviet Union, the economic crisis caused panic among the population who were ‘stuck’ with their increasingly worthless rubles. A black market naturally developed, and while the official rate for the ruble was 0.56 per dollar, a single greenback actually sold for 30-33 rubles on the street. The ruble collapsed along with the Soviet state, and different currencies were set up in the 15 different republics. The Central Bank of Russia replaced the State Bank of the USSR (Gosbank) on January 1, 1992 and the Russian ruble replaced the Soviet ruble. The new Russian Central Bank set the official exchange rate at the Moscow Interbank Currency Exchange (MICEX) at 125 rubles to the US dollar. By December 1992, the ruble had already lost about two third's of its value. Russia’s post-Soviet economy was dominated by ‘shock therapy’, and as President Boris Yeltsin’s reforms spurred rapid inflation, millions of Russians lost their savings. Boris Yelstin’s political infighting with the Communists in 1993 caused the ruble to slide more, down to 1,247 per 1 USD. Yeltsin won the political coup, and a constitution was signed on December 12, 1993. Shortly after the political victory, in January 1994, the authorities banned the use of the US dollar and other foreign currencies in circulation in an attempt to stymie the ruble’s decline. On October 11, 1994, an event known as ‘Black Tuesday’ hit the Russian financial market, and the ruble collapsed 27 percent in one day, which on top of a decline in GDP and massive inflation, catapulted Russia into an economic recession. By the end of 1995, chronic inflation had reached 200 percent. In 1996 the currency closed at 5,560 rubles per US dollar. 1997 was the first year of relative stability, but the ruble still fell to 5960 rubles per dollar. An era of stability prompted the government to devalue the currency and slash 3 decimal places, and on January 1, 1998, the ruble was set to 5.96 against the US dollar. The bottom was ready to fall out of the economy. On August 17, 1998, Russia announced a technical default on its $40 billion in domestic debt and ceased to support the ruble on the same day. At the time, the bank only had $24 billion in reserves. The stock market and ruble both lost more than 70 percent, and nearly a third of the country’s population fell below the poverty line. Along with the default came another mass devaluation of the ruble. In six months the value of the ruble fell from 6 to the dollar to 21 to the dollar. 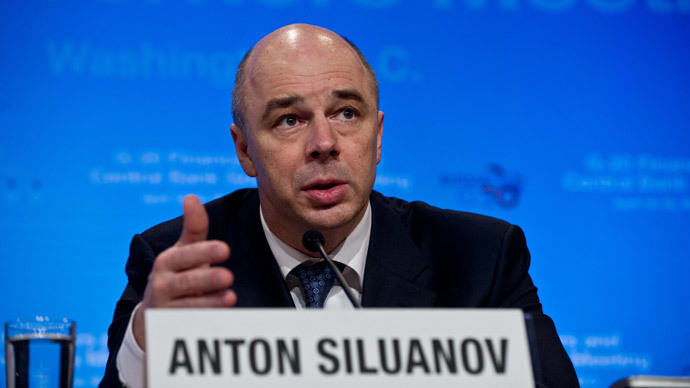 “There was a desire to escape from the ruble from any direction,” Sergey Aleksashenko, deputy finance minister under Boris Yeltsin, has observed. Aleksashenko says today’s ruble crisis reminds him of 1998. On May 27, 1998, the Central Bank increased the main lending rate to 150 percent, which brought loans to a near halt. By the end of 1998, inflation was 84 percent and the Russia GDP lost 4.9 percent. Both currency crises in the 90s forced the governors of the Central Bank to resign. The 1998 ruble crisis, like today, was driven by falling oil prices, which went as low as $18 in August 1998. However, today's crisis is much less of a risk, as Russia has more than 10x the amount of currency reserves as it did in 1998. The ruble met the new millennium with a rate of 28 to the dollar, and after hitting a low of 31 in 2003, started to slowly strengthen. Recession: in, out, and in again? In 2008, Russia along with the much of the rest of the world fell into recession, losing 7.8 percent of GDP in 2009. The Russian economy fared the crisis rather well, and the economy was back on track with 4.5 percent growth in 2010. Russia is facing its biggest currency crisis since 1998. The ruble has mostly been tumbling in tandem with weak oil prices, which have nearly halved since June, when Brent crude went for $115 a barrel. In January, prices plummeted below $50 a barrel. The ruble has lost more than half its value since the beginning of the year. Investors worry that the devaluation, along with falling oil and political tensions, will send Russia into recession this year. The Central Bank forecast a 4.7 percent decline in GDP if oil prices stay at $60 per barrel. On December 15 the ruble plunged 11 percent, and to counter the plummet, the Central Bank increased the key lending interest rate to 17 percent, in the middle of the night. The next morning after slight gains in the early morning hours, panic against ensued, and the ruble shot up 22 percent, the biggest single day loss since 1998. Russians called it ‘Black Tuesday’ in reference to the 1998 currency devaluation when the ruble jumped from 6 to the US dollar to 21 in less than 24 hours. 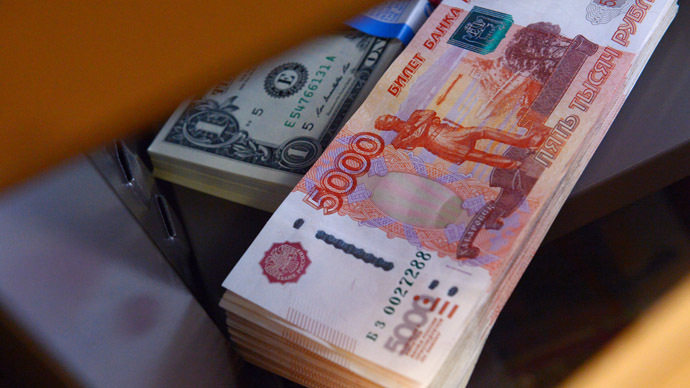 The government has already made many swift moves to salvage the ruble since mid-December. It hiked the key interest rate to 17 percent to control ruble flows, has lent money to the company’s biggest oil producer, Rosneft, and bailed out the country’s 29th largest lender, Trust Bank. Russia’s biggest oil producers, including Gazprom and Rosneft, have been ordered to sell a fraction of their foreign exchange revenues over the next couple of months in order to support the ruble, adding an estimated $1 billion to the daily market. Again re-dominated after the financial crisis drove the ruble to lose 70% of its value against USD.